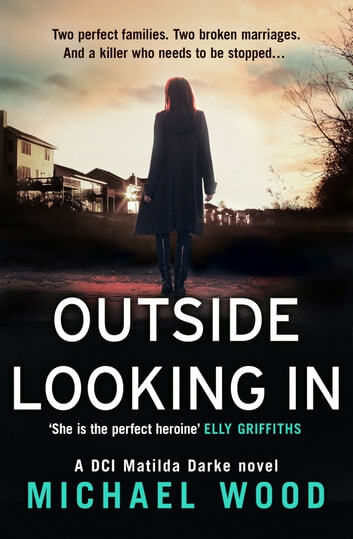 ‘DCI Matilda Darke is the perfect heroine’ Elly Griffiths The second book in Michael Wood’s darkly compelling new crime series featuring DCI Matilda Darke. Perfect for fans of Stuart MacBride, Mark Billingham and Val McDermid. When elderly George Rainsford goes to investigate a suspicious noise one night, the last thing he expects to find is a bloodbath. A man has been killed and a woman brutally beaten, left for dead. The victims are Lois Craven and Kevin Hardaker – both married, but not to each other. Their spouses swear they knew nothing of the affair and, besides, they both have alibis for the attack. With nothing else to link the victims, the investigation hits a dead end. The pressure is on for investigating officer, DCI Matilda Darke: there’s a violent killer on the loose, and it looks like her team members are the new targets. With no leads and no suspects, it’s going to take all Matilda’s wits to catch him, before he strikes again. the story is so vigorously compelling it makes you think and want to read more. nice plot and the characters were nicely written! Excellent book . Loved all the characters especially Mathilda . When i read books like this i wonder how the author can come up with such rivettig plots . I will certainly have to look for other books in this series. Well that was a roller coaster ride. Again another excellent read by Michael Wood. Look forward to the next one. I was gripped from the first sentence. So glad I started reading this series. Really good read, I've now read the first two in this series and can't wait for the next. Great characters, great style of writing, and great plots.